The video game industry is bigger than the movie and music industries combined, yet one of its favourite brands, Nintendo, is having a rough time. 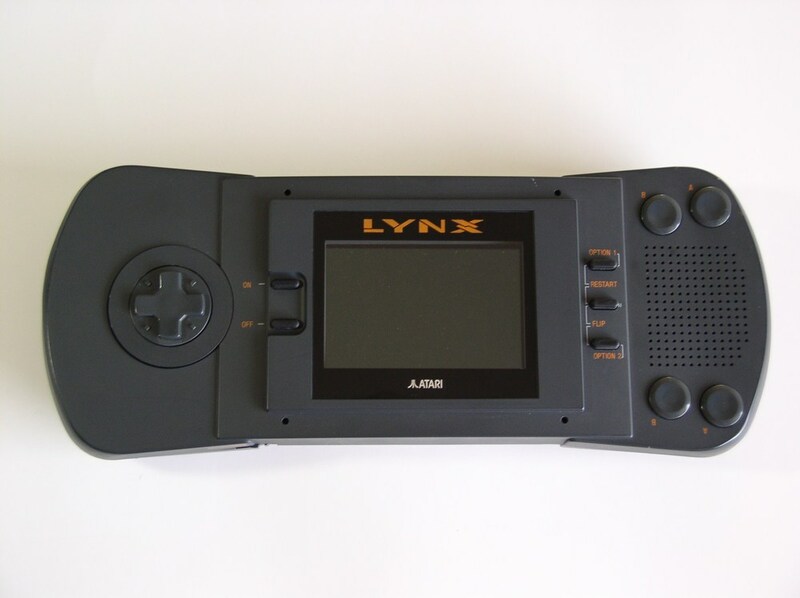 I’ve been a fan of Nintendo handheld consoles since the day I bought an Atari Lynx, when I should have picked up a GameBoy. I learned my lesson after that and have enjoyed mobile gaming ever since on the GameBoy Pocket, Advance (and Advance SP) and lastly the DS. I never picked up a 3DS, not because I wasn’t impressed, but because by then I was enjoying mobile gaming … on my mobile! I wish Nintendo well. I think the Wii U was a misstep, but their consoles are generally great - but they may never see the same success again with their handhelds. Smartphone gaming is now huge and it’s decimated the handheld console market. In the beginning, I don’t think it was because smartphone gaming was superior, but, as with cameras, the best device is always the one you have with you. Just as with the cameras catching up with their dedicated snappers, smartphones are now bloody good handheld games consoles. They have incredible screens, huge processing horsepower and even the apps that offer near console quality graphics are very affordable next to the cost of a console game. The one limitation that your smartphone just can’t get over by itself is the lack of hardware buttons. For that it needs an accessory and I’ve chosen the Moga Pro. The Moga Pro controller looks just like the controller you use on an Xbox and that’s a good thing. Two analogue sticks offer the precision that first-person shooters demand and the four shoulder buttons and four digital buttons offer the kind of complex gameplay opportunities that a touchscreen alone just can’t match. Oh and there’s the classic ‘D-Pad’ too. Although there is a flip-out grip to hold your phone, the actual connection is over bluetooth. You may worry that bluetooth equals huge power drain, but it is possible to connect the two via cable if you’d like to top up your phone’s battery from the Moga Pro. This is great for extended gaming sessions or if you want to keep your phone running for a decent length of time after gaming on it. I was initially a bit worried at the list of games that officially support the Moga Pro. There are some big titles like Grand Theft Auto: San Andreas and Dead Trigger 2, but they’re aging now and recent games are few, suggesting app developers might have moved on elsewhere. Gaming on these supported titles is superb however. The Moga is well built, comfortable in the hand and the sticks are nicely weighted. Fine analogue control is possible and makes games like Modern Warfare actually playable (I hate FPS games on a touchscreen). I was certainly more of a force to be dealt with playing online multiplayer (okay, I still got killed with depressing regularity). Suffering From A Lack of Support? When it comes to ‘unsupported’ games, a switch on the front of the controller changes mode from ‘Moga’ to ‘HID’ or human interface device. Basically the phone will emulate the touch-screen using a driver built into the phone’s operating system. I imagined this would be very clunky, but actually it works. I’ve been glued to Storm Raiders (gorgeous 3D WWII air battles) and Limbo (spooky 2D platform adventure) and again, using the sticks feels so accurate and miles better than fumbling with the touchscreen. There’s likely to be a risk that this mode will offend the odd gaming app, but what I’ve tried so far works well. So perhaps the Moga-mode just wasn’t needed anymore? If you have a VR headset, like the Samsung Gear VR (check out my review here), then I’d say a controller is near essential. In fact, I chose the Moga Pro because of the excellent feedback it’s had from VR gamers (and the Samsung controller is insanely expensive!). VR Games that insist on a controller still work happily with HID mode (again suggesting native support in Android is good these days) and I’ve spent hours in Dead Secret and Dread Halls using the Moga Pro and it works really really well. If I were to offer any criticism against the Moga Pro, then two things come to mind. First, I had a real job convincing it to connect to my Samsung Galaxy S7 Edge. You are advised to install the Moga companion app, which presumably sorts out the support for ‘Moga mode’ and it links you to games with official Moga support. Second, it’s supposed to get you connected, but it failed miserably. Fortunately, I was able to get it to talk with Samsung’s ‘Quick Connect’ feature and didn’t spend too long shouting at it. I see the app has been updated recently, so it’s possible you won’t see this. Secondly, the Moga Pro is not nearly as portable as your phone is. It’s nicely weighted and won’t trouble you in a bag - but it’s definitely not pocketable and you’ll have to be careful throwing it into a bag with lots of other bits in case you damage those protruding sticks. When it comes to portability AND hardware controllers, Nintendo still have it and that's why dedicated gamers will likely stay loyal. If you’re a keen mobile gamer, I think the Moga Pro is definitely something to consider. It will enhance your enjoyment of more console-like games like racers and first person shooters, even if you leave it at home and make do with the touchscreen when out and about. For VR gamers, especially owners of the Samsung Gear VR, it’s near essential. Again, it allows you to play more advanced games and get an even better sense of immersion. Best of all, as it can keep your phone’s battery topped up, extended gaming sessions are allowed wherever you are. Game on!